A Will is an important legal document that allows you to express your wishes as to how your Estate is to be distributed when you pass away. (a) it is in writing and signed by the testator, or by some other person in his presence and by his direction; (b) it appears that the testator intended by his signature to give effect to the will; and (c) the signature is made or acknowledged by the testator in the presence of two or more witnesses present at the same time; and (d) each witness either: (i) attests and signs the will; or (ii) acknowledges his signature, in the presence of the testator (but not necessarily in the presence of the other witness), but no form of attestation shall be necessary. In light of the above, we would always recommend that you instruct a trained and regulated professional to not only prepare the document, but to also oversee its execution. If a Will fails to meet the above criteria then it may be found to be invalid and your Estate may be distributed to individuals whom you did not intend to benefit. In addition to failing to meet the criteria under the 1837 Act (as amended), it is important that your Will is technically accurate as any misinterpretation or omissions can impact upon the distribution of your Estate. For example, you may wish to include clauses to re-direct gifts should the intended recipient predecease you. Should you fail to have a valid Will at the date of death, then your Estate will be distributed in accordance with the Intestacy Rules; it is, therefore, of particular importance to execute a Will if you wish to benefit your unmarried partner or children from a previous relationship. 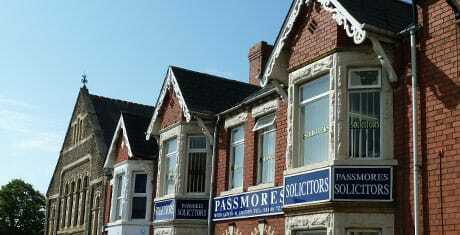 We here at Passmores Solicitors are authorised and regulated by the Solicitors Regulation Authority and we adhere to the standards set by the Law Society; meaning you can be confident that any Will drafted by us will accurately reflect your wishes and be legally valid. In addition, Miss Carli Evans (Head of Private Client) is a member of both the Society of Trust and Estate Practitioners and Solicitors for the Elderly. For further information on obtaining a Will please contact us on 01446 721 000 or on 029 20 786 618. Should you be unable to contact us, we have an online Will questionnaire that you can submit; we will then review your requirements and arrange a mutually convenient time to discuss your Will.